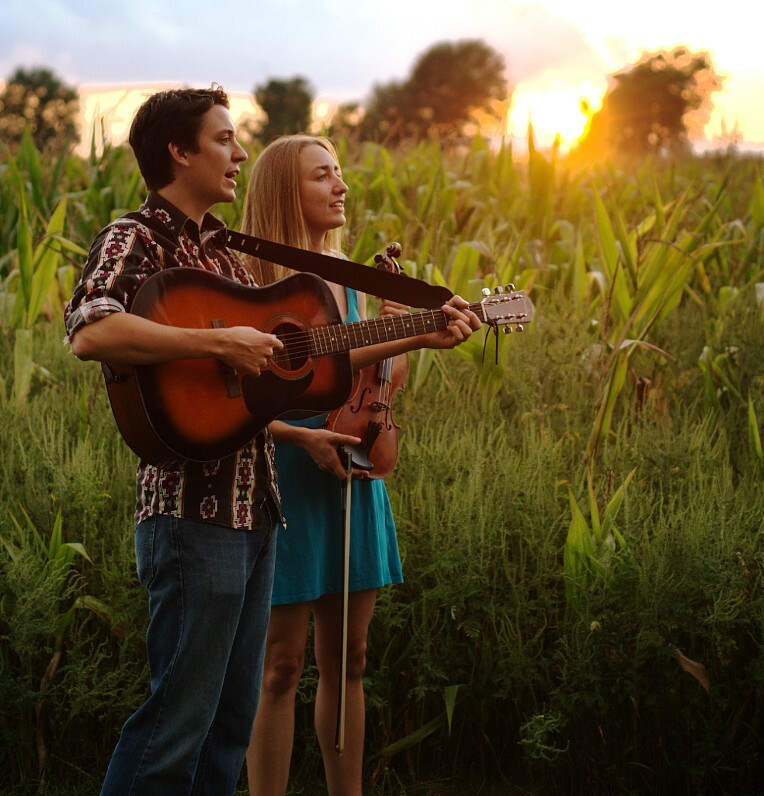 Warsaw native Andrew Morris, front left, and Julie Bates will perform a free, all-ages concert 7 p.m., Friday, Aug. 28, in the Garage at the Wildwood Nature Preserve branch of the ACRES Land Trust, 409 E. SR 14, Silver Lake. This will be the only Kosciusko County performance of the songs from their album “Kosciusko County” until December. “Just bring a lawn chair, a cooler and a good attitude,” recommended Morris. WARSAW — Andrew Morris, half of the musical duo, The Matchsellers, grew up “just south of Warsaw, off Ferguson Road,” and their latest album, “Kosciusko County,” finds him joining a long list of writers, from Garrison Keillor to Bruce Springsteen, who have found inspiration in their hometowns. Morris, a Fulbright scholar, accepted a teaching position in Leipzig, Germany, only to find himself mentally drawn back to northern Indiana. “My subconscious for the last five years has been fixated on what it means to be an American, a Midwesterner, a Hoosier, a person from Kosciusko County,” he explained. This fixation has manifested itself in songs with titles like “Claypool Dog Race,” “Mentone (The Legend of the 3,000 lb. Egg),” “Beaver Dam Blues,” “Leaving Burket” and more. Prior to “Kosciusko County,” Morris also recorded an EP, “The Great Corn-Detasseling Album.” The title was borrowed from a poem by his English teacher, Steve Henn, who, along with history teacher Jim Gilmer, Morris said taught him to “think critically” at Warsaw Community High School. “It’s pretty impractical to write songs just about a tiny region,” he admitted. After all, The Matchsellers have toured Europe and 25 of the United States, and he doesn’t expect a crowd in the Czech Republic to relate to a song about “a dog race in Claypool, IN.” Nevertheless, Morris will always have a place to play where people know about such things as Mentone’s 3,000 pound egg. For more information go online to www.thematchsellers.com.